Product is not stable at accelerated temp., appeared in 2 separate layers. I know it is a normal behavior of eutectic mixture (like soap). But i am missing something here which would stable my batch. If anybody is having an experience of such a product, please share it. Sorry for keeping long space between texts. Its by mistake. KOH should be 7% not 6% according to the saponification calculation. I suggest removing the propylene glycol and retesting. I am working on the same concept though my product is soap based hand wash. As @Belassi said remove the glycol and recalculate the alkali needed. Also the pH of such soaps is very important as a higher pH will definitely keep the fatty acid and alkali soap stable. I have surfactants also in my liquid soap and you can imagine how complicated it becomes then to stabilize the emulsion. I have used a polymer to stabilize the emulsion and my fatty acids include 12/14/16, the polymers I used in 2 different trials were Aculyn 33A (ASE polymer) & Aculyn 88 (HASE polymer). At 10 days the formulae are still stable though I do it at 43C. stearate & PEG-100 stearate (Emulsifier) just due to one of our competitor used it. Well, I can't really say for sure, but maybe they are including it for refattening and/or thickening. Or possibly, pearling. I've seen 2% of that produce pearling in a synthetic soap. You should do a knockout experiment to discover the reason. ashish I have seen both with and without emulsifier. - however since you have a stabilty problem that is a way to go. I have done a knockout experience but still not got solution. I know it is difficult product to make. But, i don't want the proposed product to resemble shaving cream, it should rinse faster from face. What you have there is basically a shaving cream formula. @Belassi I agree. With some small exceptions the posted formula looks very similar to the formula for "Art of the Shave's" Shaving Cream. 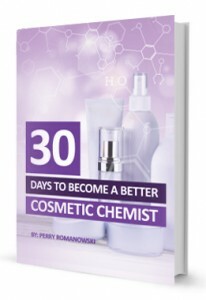 If you can get access to the book, Harry's Cosmeticology covers this type Formulation in great depth. In 2019 I am facing tha same problem with my soap based facial wash. Will cocamide DEA work? We do soap based face washes & body washes by simply saponifying various oils. Huge sellers (our brand and Private Label brands) with a lot of long-time loyal customers (13 years), and stability not an issue. pH 9-10.